Celebrity Edge has officially joined the Celebrity Cruises fleet after being blessed by its godmother at a moving naming ceremony. 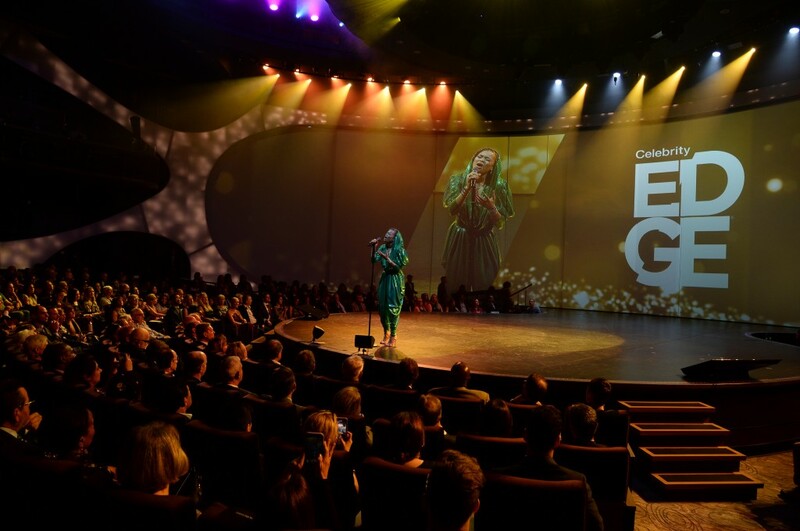 The new build’s godmother, none other than Nobel Peace Prize Laureate Malala Yousafzai, was joined by more than 3,000 guests, employees, crew members and students to commemorate the debut of Celebrity’s first new ship in six years and first new ship series in more than a decade. She discussed those issues before the ship’s crew and guests in a one-on-one interview with Celebrity’s President and CEO, Lisa Lutoff-Perlo. 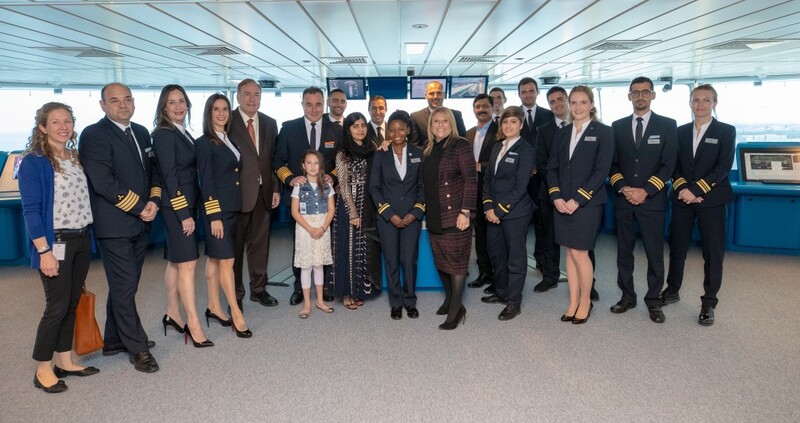 “We are honoured that Malala agreed to be the godmother of this ship, a role that reflects centuries of maritime traditions,” Lutoff-Perlo said. “We are especially proud because Malala’s example of relentless persistence and achievement is an inspiration to our crew, who have all worked so hard and made real sacrifices to build better lives for themselves and their families. Celebrity is a proud partner of the Malala Fund and supports them in their mission to see the 130 million out of school girls around the world get the 12 years of free, safe, quality education they deserve. “I’m fighting to ensure millions of girls stuck in situations of poverty or war that they didn’t create can learn what they need to choose a future for themselves,” said Yousafzai. The brand chose to forego the traditional champagne bottle at the launch, and instead smashed a custom-made 18-litre bottle of Badoit French mineral water across the ship’s Parabolic Ultra Bow. And with that, the ship’s long-awaited inaugural season will get underway, ushering in the premium cruise line’s first new ship series in more than a decade – and sparking a revolution in the industry, with the ship’s cutting-edge design and first-at-sea offerings. Celebrity Edge will begin her inaugural season sailing alternating seven-night eastern and western Caribbean itineraries before transporting guests to the stunning vistas of the Mediterranean with a range of seven- to 11-night sailings from iconic cities like Barcelona and Rome in 2019. Sailing round-trip from Fort Lauderdale, Florida, Celebrity Edge will make her first maiden voyage on December 9, 2018. Building on Celebrity Edge‘s incredible momentum, she’ll be joined by Celebrity Apex in 2020, and two additional sister ships in 2021 and 2022. It’s the last cruise wrap for 2018! And boy, is it a doozy. You could procrastinate until the end of the week on this one if you try hard enough. Can’t think of anything worse than being stuck at home with your family these holidays? Take them all on a cruise instead! Because a ship has more places to hide than Grandma’s house.